Unease pervades the atmosphere at Imo state Judiciary as Justice Chukwujieze Ogu of the Ubulu Magistrate's Court in Oru West LGA of the state was reportedly killed after been abducted by some unknown persons on Thursday 29th November, 2018. 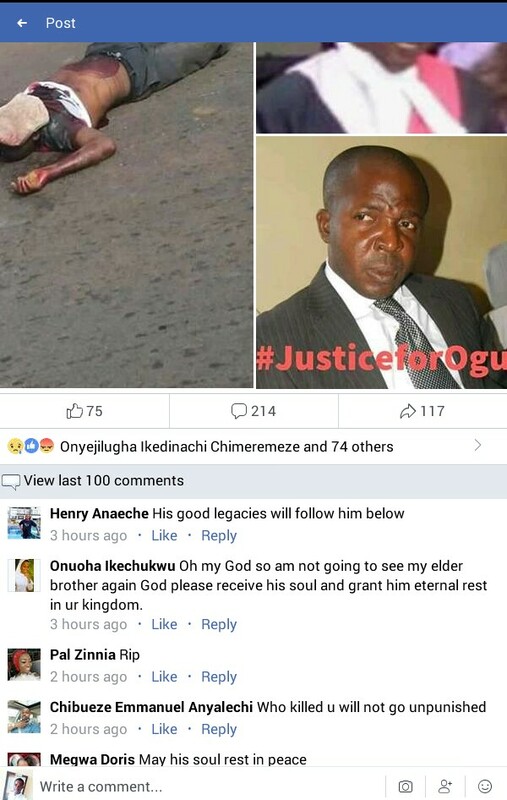 Justice Ogu until his gruesome death distinguished himself as lawyer par excellence and is known for his impartial judgments. Justice Chukwujieze Ogu is the first son of the renowned lawyer: Barrister Remy C. Ogu. He hails from Umuakunne, Ezimba Ihitte-Uboma of Imo state and studied law at Imo state University Owerri.